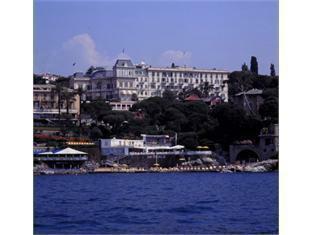 Imperiale Palace Hotel location on Santa Margherita Ligure map is not available. The Imperiale Palace Hotel is located in Santa Margherita Ligure making it one of the best hotels to stay at while in town. All hotel's guestrooms have all the conveniences expected in a hotel in its class to suit guests' utmost comforts. In-room facilities include non smoking rooms, air conditioning, television, bathtub, shower, mini bar. This beautiful Santa Margherita Ligure accommodation provides 24hr room service, executive floor, elevator, bar/pub, laundry service/dry cleaning, meeting facilities, restaurant to suit all guests' utmost convenience. In addition, the hotel's guests can enjoy the leisure and sports facilities provided on the premises: massage, golf course (on site), gym, sauna, spa, outdoor pool, garden. 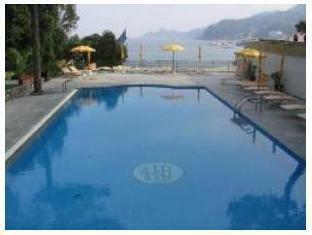 Being one of the good quality hotels in Santa Margherita Ligure, guests staying at this hotel will find its convenient location and tranquil atmosphere pleasurable. To proceed with your reservation at the Imperiale Palace Hotel via our secure online booking form, please enter your period of stay.